We are proud to provide Invisalign® in all of our locations as an option for our patients. With this system, a series of clear, plastic aligners are used to gradually reposition your teeth. Best of all, unlike traditional metal braces, an Invisalign® retainer is virtually invisible. This allows our patients to achieve straight, beautiful new smiles without requiring the metallic look that was once part of the only treatment option available to straighten teeth, traditional braces. Because the retainer is removable, patients can brush and floss much easier than with traditional braces. And, importantly, those who fear embarrassment at work, school, or other areas of life are now able to straighten their teeth without disrupting their lifestyle. 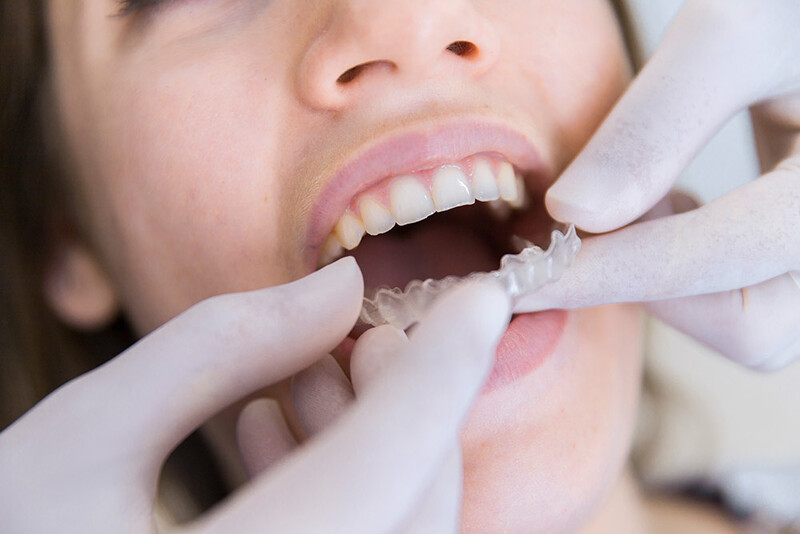 At Sninski & Schmitt Family Dentistry, our Invisalign process starts with a consultation with one of our dentists. This consultation will determine whether Invisalign is the correct treatment for you, as there are certain cases, such as long-term bite reshaping or damage recovery, for which Invisalign does not work well. Once the initial consultation has occurred, our dentists will take an image of your teeth to send to the Invisalign factory. There, they will produce a mouthpiece that will gently move your teeth into their new and better positions. Pop your aligners out when brushing and flossing for easier oral care. If you want to a straight, healthy smile free from misaligned or crooked teeth, invisible braces may be right for you!